Krakow’s Old Jewish Quarter, Kazimierz, has undergone something of a renaissance. 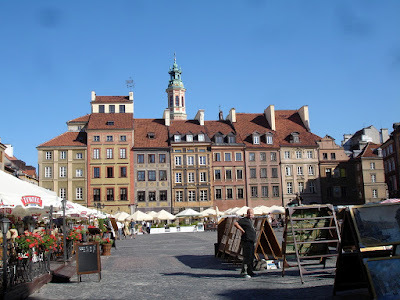 It is now filled with cafés, trendy restaurants, shops and art galleries. There are two ways of looking at this: 1) thanks to the Nazis, and to a lesser extent the Communists, there are very few Jews left in Poland, but the Polish government is cynically exploiting its Jewish heritage to attract tourists; 2) despite Nazi attempts to wipe out Poland’s Jewish heritage, the spirit lives on in Kazimierz where synagogues have been restored, a Jewish historical museum established and an international Jewish cultural festival held every July. 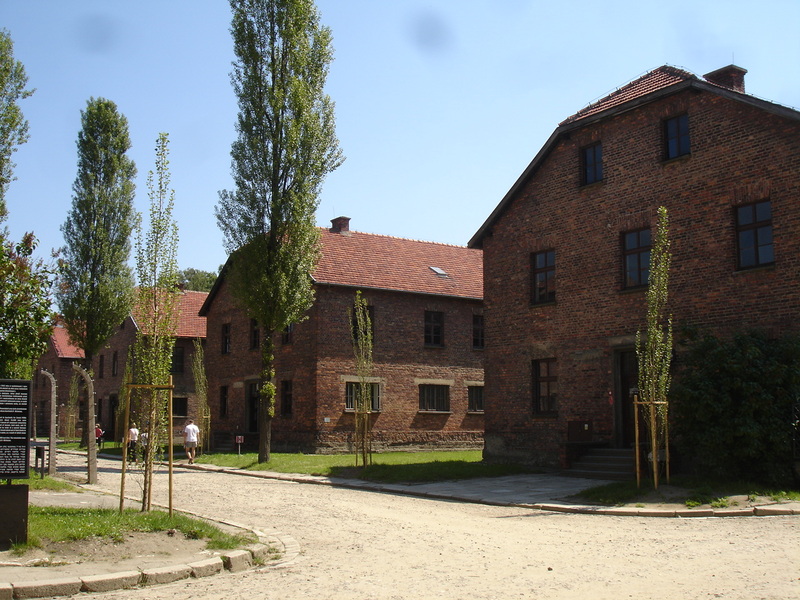 The second perspective is certainly the more appealing, especially after a visit to Auschwitz. 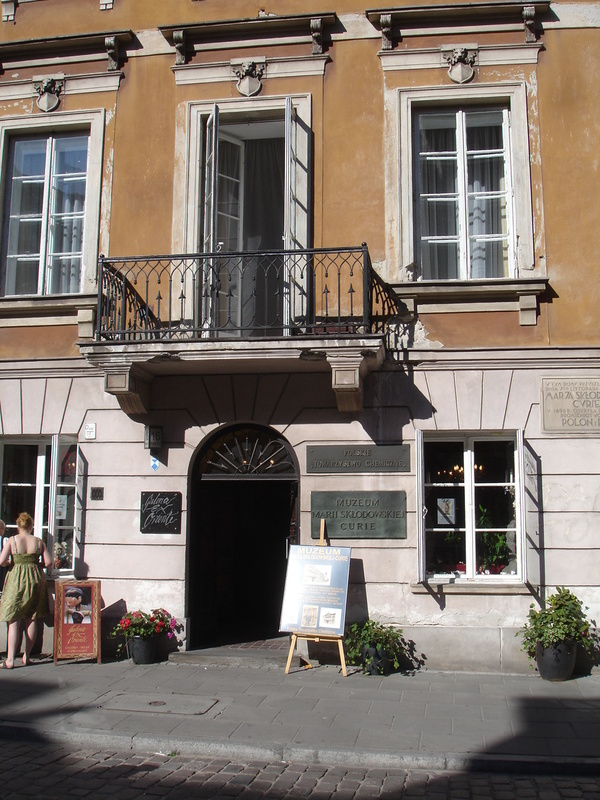 When we went to the Schindler Museum located in the actual factory where Oskar Schindler employed over 1,000 of Krakow’s Jews, I found myself focusing on individual acts of courage and kindness, starting with Schindler himself--who, flawed human being that he was-- gradually began to see his slave laborers as human beings and became determined to save them from the Nazi killing machine. 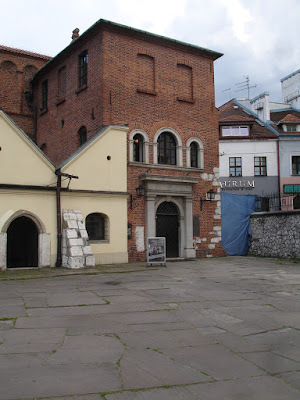 The museum’s multi-media, interactive exhibit of the Nazi occupation of Krakow is one of the best historical exhibits I’ve ever seen and a must for any visitor to Krakow. But I felt that I had to escape the cruelty and started to rush through the exhibit looking for some record of human decency to focus on. And yes, there were individual acts of courage on the part of both Krakow’s Jewish and Christian citizens; there was the Polish resistance and an underground theater troupe determined to keep hope alive during the darkest days of the Nazi occupation. 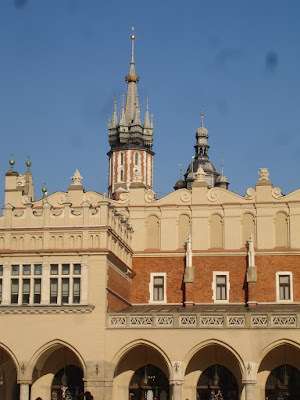 After leaving the museum and immersion in Krakow’s tragic history, we were soon back in beautiful Old Town Krakow, filled with tourists dazzled by the beauty of the newly prosperous city. Another surreal moment, another disconnect. We would not return in the summer again. This trip was planned to coincide with Rick’s 70th birthday in June, but next time there will be no such constraint. We’ve decided there will be no more international trips during the summer. 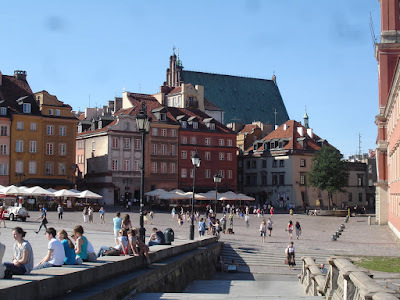 Why deal with the crowds, the heat, the additional expense when as retirees we can travel in early Spring and the Fall? So maybe we’ll try to visit Krakow and Prague some Fall when there’s a music festival we’d like to attend. 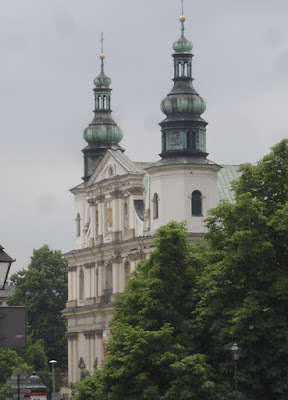 We went to Prague in 1989 and it would be fascinating to see what the fall of Communism has meant to Prague. It was a good experience for someone like me who once considered herself (very briefly) a communist to actually visit a hard line communist country. It was wonderful to see that repressive regime crumble in the year after our visit. 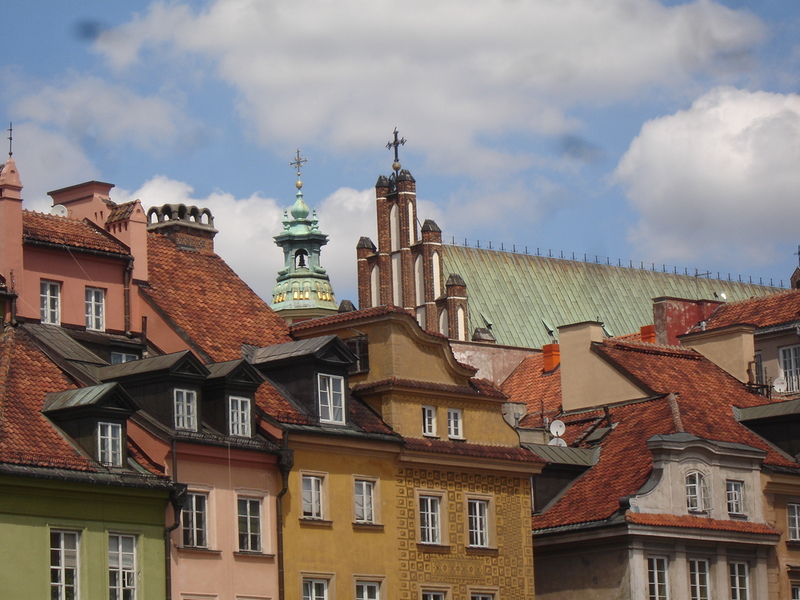 So that’s our tentative plan—a return visit to Krakow and Prague. At this stage in our lives, we don’t know how much longer we’ll have the stamina for international trips but as long as we can, we intend to get out there and see the world, and that includes some return trips to places us really loved. Rick and I felt a little guilty about not going to Dachau when we were in Munich in the 1990’s.We were having too good a time enjoying the museums, the restaurants, the opera in Munich and we just didn’t want to spoil the fun. We decided that we could not do that twice and this time we would go to Auschwitz/ Birkenau. I was dreading it. I was afraid that what had never seemed quite real to me would become all too real. But instead of initially being overwhelmed by the horror, Rick and I experienced a strange distancing effect. It was a gorgeous sunny day. On the ride from Krakow to Auschwitz when the tour bus showed a horribly grim film, we found our eyes wandering to the lush green countryside and the iris and peony filled gardens in the houses by the road. 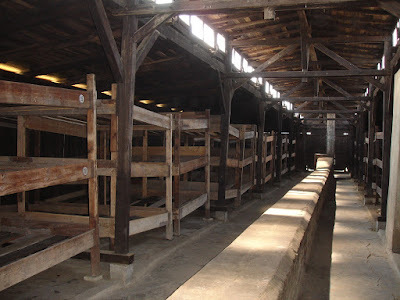 The cognitive dissonance continued at Auschwitz. 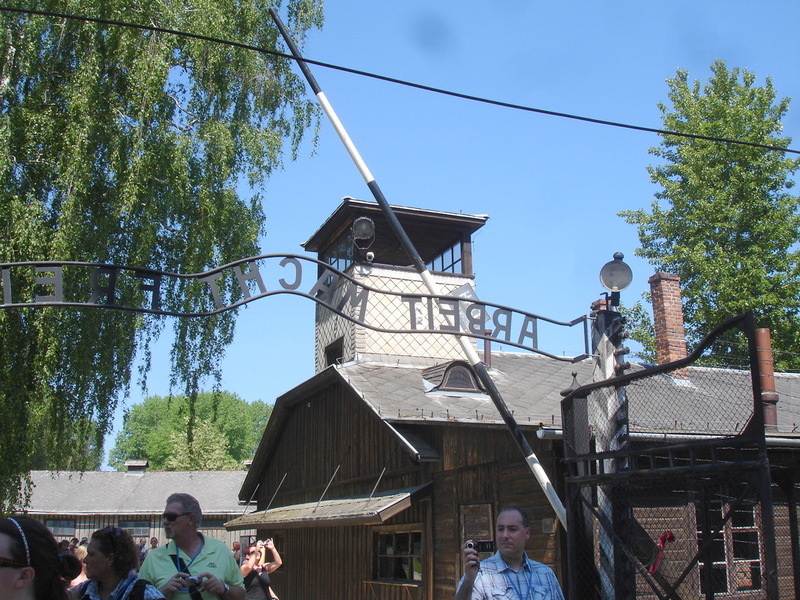 The entrance was filled with tour buses and cheerful looking tourists strolling in the park-like area in front of Auschwitz. The groups of teenagers who looked very bored when inside the museum immediately started chatting merrily with each other as soon as they got outside. 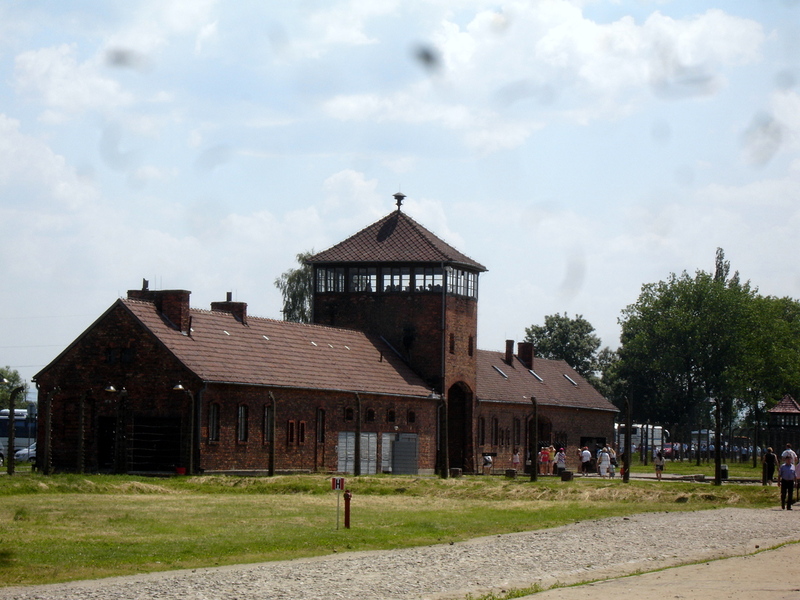 We did have a greater sense of the reality of the Holocaust at Birkenau. No doubt because of Claude Lanzmann’s film Shoah, Birkenau looked much more like what I expected—the ramshackle buildings constructed to hold those bound for the gas chambers—in contrast to the sturdily built brick buildings at Auschwitz, built originally to house Polish soldiers. Every once in a while something broke through that strange sense of distance. When we passed by a hall of photographs of those murdered at Auschwitz/Birkenau, Rick pointed to a photo of a man with the same surname as his grandmother. 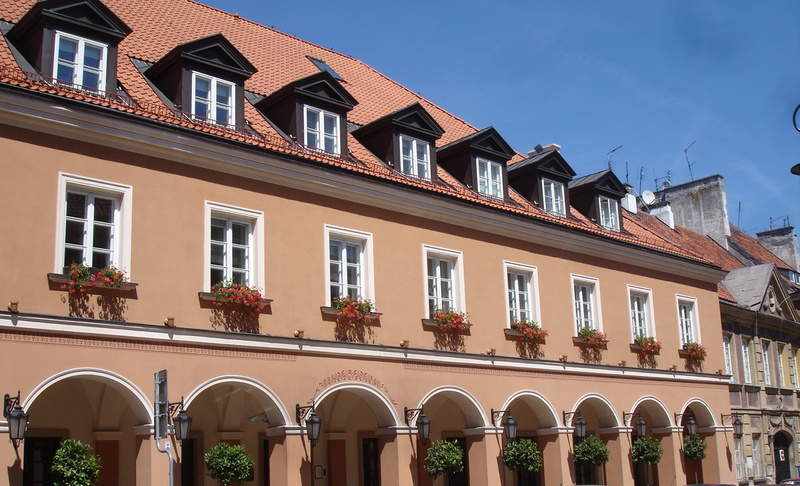 He was identified as a merchant from Poland. Her family members were merchants from Poland so a connection was possible. Nothing like personal connection to pierce through the sense of unreality. The contrast between the beauty of the day, the holiday atmosphere in the parking lot and the horror of Auschwitz/Birkenau was not the only surreal aspect of the day. The museum at Auschwitz demonstrated the extent to which the Nazis ran their camps like a business with carefully recorded inventories of possessions confiscated and detailed records of all prisoners. I had known about this grisly combination of cold-blooded efficiency and unimaginable horror, but seeing the actual records on the spot where it actually happened had an impact. Although I felt this strange distance while on the actual site, the experience stayed with me and I expect will remain a part of me forever.